"Getting to know you and your values is the first step in developing an effective and personalized financial plan." Brett has worked in the financial services and insurance industry since 1996. He holds a Bachelor of Arts degree from Western Washington University. Brett has earned the LUTCF designation through Life Underwriting Training Council and the CFS degree from the Institute of Business and Finance. Brett has served as a mentor for Community in Schools of Federal Way for the past 8 years and is currently on their Board of Directors. 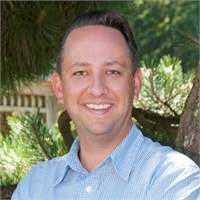 Brett resides in Federal Way with his wife Rebecca, daughter Kaila and their two dogs Hiro and Tucker. For his personal time, Brett can be found on the golf course, at Seahawks and Mariners games or traveling with his family.